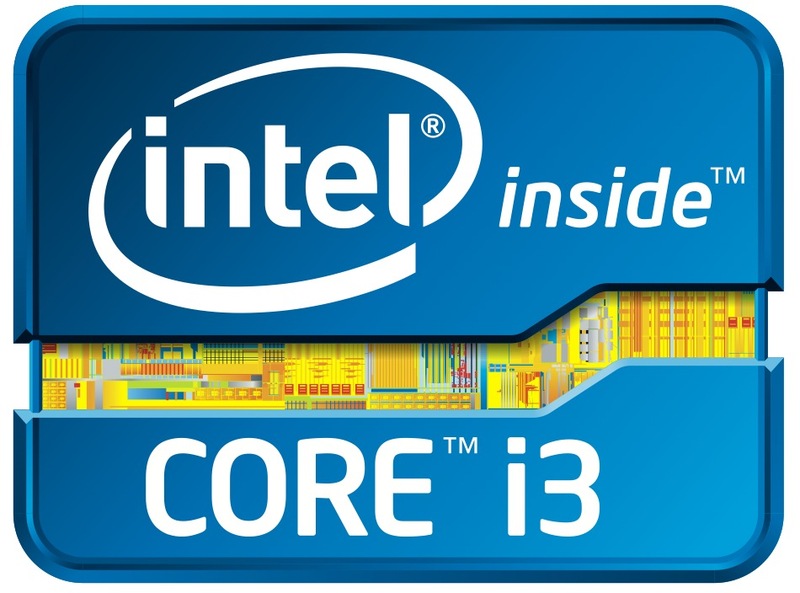 The Intel Core i3-2330M is a dual core processor for laptops. It is based on the Sandy Bridge architecture and offers Hyperthreading to handle 4 threads at once (for a better usage of the pipeline). Compared to the faster Core i5, the i3 does not offer the Turbo Boost technique for the CPU part and is therefore clocked at 2.2 GHz (max). Compared to the Core i3-2310M, the 2330M offers only 100 MHz more core clock rate. Sandy Bridge is the evolutionary successor of the Arrandale architecture. The most noteable improvements are the new 256Bit AVX instructions, the improved Turbo Boost 2.0 (not enabled for the processor part of the 2330M) and the integration of the graphics card into the 32nm CPU core. The i3-2330M offers an integrated graphics card (Intel HD Graphics 3000) which is clearly faster then the older Intel HD Graphics in the Arrandale CPUs. As the new GPU is included in the CPU, it is also manufactured in 32nm and shares the fast level 3 cache with the CPU cores (using a new ring bus). In the 2330M it is clocked from 650-1100MHz (with Turbo Boost). The faster Sandy Bridge CPUs are clocked up to 1300 MHz (like the i5-2520M). Due to the improved architecture, the average performance of the Core i3-2330M is higher than a similar clocked Arrandale Core i3 without Turbo Boost. In synthetic benchmarks, the performance is about on par with the faster clocked Core i3-380M (2.5 GHz) and therefore adequate for most applications. The Intel Core i3-2350M is a dual core processor for laptops. It is based on the Sandy Bridge architecture and offers Hyper-threading to handle 4 threads at once (for a better usage of the pipeline). Compared to the faster Core i5, the i3 does not offer the Turbo Boost technique for the CPU part and is therefore clocked at 2.3 GHz (max). Compared to the Core i3-2310M, the 2330M offers 200 MHz more core clock rate. Sandy Bridge is the evolutionary successor of the Arrandale architecture. The most noteable improvements are the new 256 Bit AVX instructions, the improved Turbo Boost 2.0 (not enabled for the processor part of the 2350M) and the integration of the graphics card into the 32nm CPU core. Der i3-2350M offers an integrated graphics card (Intel HD Graphics 3000) which is clearly faster then the older Intel HD Graphics in the Arrandale CPUs. As the new GPU is included in the CPU, it is also manufactured in 32nm and shares the fast level 3 cache with the CPU cores (using a new ring bus). In the 2350M it is clocked from 650-1150MHz (with Turbo Boost). The faster Sandy Bridge CPUs are clocked up to 1300 MHz (like the i5-2520M). Furthermore, an improved dual-channel DDR3 memory controller is included on the CPU die that is used by the CPU and GPU part. It supports up to 16GB DDR3-1333. Due to the improved architecture, the average performance of the Core i3-2350M is higher than a similar clocked Arrandale Core i3 without Turbo Boost. In synthetic benchmarks, the performance is about on par with the faster clocked Core i3-390M (2.5 GHz) and therefore adequate for most applications. The Intel Core i3-2375M is a power efficient ULV (Ultra Low Voltage) processor for thin and light laptops. The base frequency of 1.5 GHz is relatively low and the CPU does not support Turbo Boost for automatic overclocking. Due to HyperThreading, the i7-2375M is able to handle 4 threads in parallel. Compared to similar clocked Celeron and Pentium models, the i3 features the faster HD 3000 graphics card and offers more enabled features (like Quick Sync). However, compared to the expensive i7 CPUs, the i3 lacks VT-d, Trusted Execution and VPro support. The difference to the similar Core i3-2377M is just the lack of Small Business Advantage (SBA) support (needed for the Ultrabook logo). Sandy Bridge is the evolutionary successor of the Arrandale architecture. The most notable improvements is the improved Turbo 2.0 (not used for the processing cores in the i3-2375M) and the integration of the graphics card into the 32nm CPU core. The integrated Intel HD Graphics 3000 is clocked at 350 up to 1000 MHz (Turbo Boost). Due to the slower clock rate without the Turbo, compared to HD Graphics 3000 in 35W and 45W processors (usually clocked at 650 base speed in non LV processors), the performance is noticeable lower. The performance of the CPU is a bit higher than a similar clocked Arrandale Core i3 ULV and therefore above the 1.33 GHz Core i3-380UM. The average performance of the CPU part is therefore similar to the AMD A4-3320M. Detailed benchmarks can also be found on the CPU page of the Core i3-2377M. The TDP of 17W (includes the integrated GPU and memory controller) allows the use of the 2375M CPU in small subnotebooks.